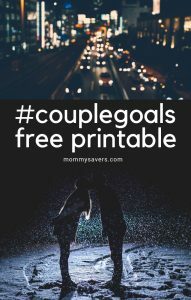 When you search the #couplegoals or #relationshipgoals hashtag on Instagram, you will find lots of cute, fun ideas – most of them for young dating couples. Fun is truly important to every relationship, but so are other things like forming rituals, habit, and building intimacy. And, if you’re not a newlywed anymore, your life may seem pretty-well set in stone and in need of a refresher in all those areas. After twenty-five years of marriage, my husband and I typically talked about home projects we wanted to get done, things we wanted to do with the kids, but we never really dug much deeper. It was time to talk about other hopes and dreams again. Most men aren’t mind-readers, and if you’ve been with your husband awhile you can probably back me up on this one. If you want something, you have to speak up. That’s why initiating a conversation and expressing your own needs and wishes is a good thing… for both of you. 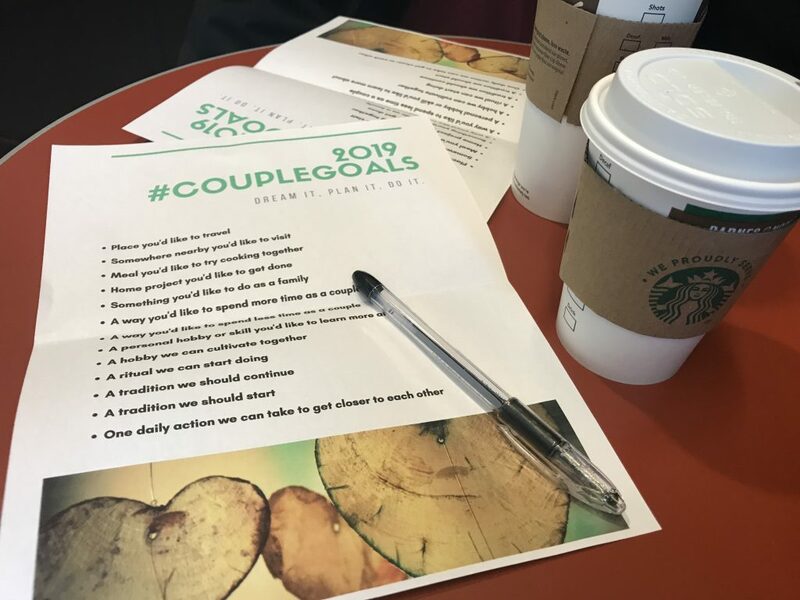 So, last Sunday I printed out this #CoupleGoals cheat sheet and we headed to Barnes and Noble for some coffee and to talk about some relationship goals we have for the upcoming year. I created this list to include a variety of conversations starters designed for couples who, like us, have been together awhile. The main idea is just to get talking about what you can do in the year ahead to improve your relationship. Fill out the sheets separately, then discuss them together. Place you’d like to travel – It’s super-important to truly get away as a couple at least once a year. Twice is even better, so make sure you each pick a place. You may not be able to work it into your budget, but you’ll never know if you don’t plan ahead. Somewhere nearby you’d like to visit – It could be a new restaurant, a theater or a golf course. The idea is you don’t have to stay overnight when you go. Meal you’d like to try cooking together – Think of something you’ve had a restaurant that you’ve both enjoyed. How cool would it be if you could make it at home? Home project you’d like to get done – This is the practical side of the list. But, what I find, is that men and women often have different priorities on this front. Asking this question is a good opening to talk about what it important to each of you and why. Something you’d like to do as a family – Traveling as a couple is great, but family travel creates memories you’ll treasure forever, even if the trip is a flop (trust me on this one). Time with the kids is limited, so making a list of places you want to travel before they leave the nest will help keep you on course checking the must-visit items off the list. A way you’d like to spend more time as a couple – This could be anything from fishing to biking to playing tennis or watching movies. It’s fun to hear what your partner comes up with. A personal hobby or skill you’d like to learn more about – Knowing what your spouse wants to do and supporting that goal – is a great way to show that you care. A hobby you can cultivate together – What’s something you’d like to learn to do together? Ballroom dancing? Cooking? Skiing? Something you’d like to teach your kids – Which hobbies do you enjoy that you’d like to teach the kids? Once they get older, more options open up to do things like playing tennis or going fishing. A weekly ritual you can start doing – For many, getting back on track with a weekly date night is a great way to build connection. 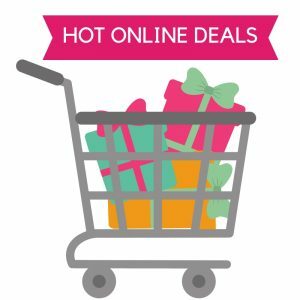 It’s tough when it requires a babysitter, so check out some of our best date night ideas that don’t require leaving home. A tradition you should continue – Do you cut down your own tree every year? 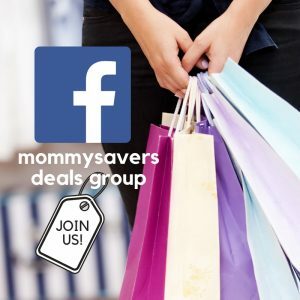 Go Black Friday shopping? Which ones are super-important to you? Carry them on! A daily action the two of you can take to get closer to each other – Is it a hug when you walk in the door? A kiss goodnight? Often those simple things are the most appreciated. What’s a new one you can put into practice? Comment below: What other questions should be added? What are your own #couplegoals for the upcoming year?